Guava is a tropical fruit that is cultivated in many tropical and subtropical regions. The fruit is round or oval, and has a rough green skin before maturity. When ripe, the skin turns yellowish-green. The flesh is softer than the skin of the fruit, and it can be white or pink. Guava contains tiny and crunchy semi-hard edible seeds. When the fruits ripen on the tree, they have an intense natural flavor. But what are the benefits of guava fruit? Guava is a powerhouse of nutrients and has numerous benefits. It is rich in vitamin C which helps fight against infections; it has a good amount of folate which helps promote fertility; and the fiber content in guava also benefits diabetics to maintain a normal blood sugar level. Looking at these nutrients, you may be wondering, “Is guava good for weight loss?” Yes, guava may aid in weight loss. Furthermore, the guava leaves are very beneficial, just like the fruit. The leaves contain carotenoids and polyphenols, and are used for a number of medicinal purposes. The pink-colored species have a higher content of carotenoids and polyphenols than the white ones. Here are a few health benefits of guava fruit and its leaves. High levels of LDL cholesterol and high blood pressure are related to higher risks of heart disease and stroke. A study published in The American Journal of Cardiology states that hypertension patients who ate ripe guava before meals for 12 weeks, showed a significant decrease in blood pressure and total cholesterol, and an increase in good (HDL) cholesterol. The essential nutrients and vitamins present in guavas such as potassium and soluble fiber, improve the heart health by reducing the absorption of LDL (bad cholesterol) in the blood, and preventing the clogging of arteries. A cup of guava contains nine grams of dietary fiber, which accounts for 36% of the recommended daily intake. The dietary fiber helps in bowel movements and prevents constipation. According to the Journal of Ethnopharmacology, the antimicrobial properties in guavas help in the treatment of diarrhea and dysentery. It disables harmful diarrhea-causing microbes in the gut. Is guava good for weight loss? One guava contains only 37 calories and it provides 12% of the daily recommended intake of dietary fiber. It is one of the best low-calorie snacks that is enriched with vitamins and minerals. The fiber content keeps you satiated for a longer duration, and thus, prevents cravings. 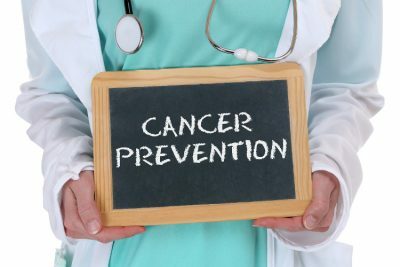 A study published in the Nutrition and Cancer Journal states that guava extract can prevent and even stop the growth of cancer cells in animals. The most important benefit of guava consumption is that it is high in antioxidants, and protects the cells from damage by free radicals. According to the Cancer Letters Journal, guava leaf oil is four times more effective at stopping cancer cell growth over some cancer drugs. Guava provides twice the amount of the recommended daily intake of vitamin C. This vitamin helps to fight against infections and helps maintain a healthy immune system. It kills infection-causing bacteria and viruses. The antioxidants and vitamins present in guava benefit the skin. They help slow down aging and prevent wrinkles. According to The American Journal of Chinese Medicine, guava extract can also be used to treat acne as it has the potential to destroy acne-causing bacteria in the skin. Guava benefits during pregnancy include preventing neural tube defects in newborns due to its folate content. One guava provides seven percent of the recommended daily intake of folate, which promotes fertility in humans and helps in the development of a fetus’ nervous system. Pregnant women experience constipation, and guava being rich in fiber, helps with easy bowel movements. Pregnant women must consume guavas in moderation, as a high intake of this fruit may lead to diarrhea, which isn’t good for expectant mothers. Guavas have a good amount of manganese which helps the body absorb vital nutrients from food. It also helps maintain healthy bones. Women suffer from manganese deficiency post-menopause, and so guavas should be a part of their diet. Fresh guava juice is beneficial for a person suffering from dengue. Drinking guava juice three times a day is effective for treating dengue fever. Guava benefits the skin by improving its complexion and texture. Scrubbing your face with a homemade guava scrub helps get rid of dead cells, impurities, and lightens complexion. To prepare the scrub, you can mix the flesh of the fruit with an egg yolk and apply it on your face. Wash your face after 20 minutes with warm water. Using this remedy once a week will help you have a youthful skin. Washing your face with an immature guava fruit and leaf concoction acts as a toner. Guava leaves are used in traditional medicine in various countries because of their antioxidant properties and the presence of the flavonoid, quercetin. These leaves are infused in hot water to make guava leaf tea. These leaves are known to inhibit the causative agents of diarrhea. Traditionally, guava leaf tea is given as a medicine to control diarrhea in some tropical countries. 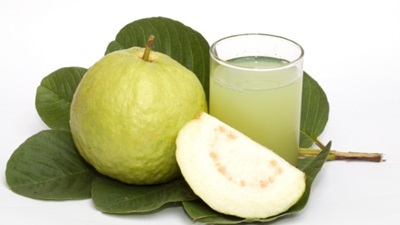 A study was conducted at the Revista Institute in Sao Paulo to show the guava leaf’s benefit in controlling child diarrhea and gastroenteritis. It showed that guava leaf extracts did inhibit the growth of the bacteria, Staphylococcus aureus and Salmonella. Guava leaves have essential oils, methanol, ethyl acetate, and hexane which inhibit the growth of these bacteria. Guava leaves are also known to reduce bad cholesterol. Studies show that drinking guava leaf extract for eight weeks reduces the levels of bad cholesterol—low-density lipoprotein (LDL), triglycerides, and phospholipid. 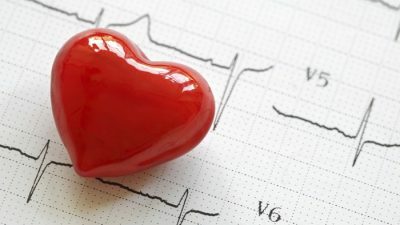 This study, published by BioMed Central in London, was conducted on 23 people with mildly elevated levels of cholesterol. Guava benefits diabetes patients as well. The extract of this leaf has been used in traditional medicine to treat diabetes in East Asia. Studies have been conducted on mice as well as humans, and showed reduced levels of post-prandial sugar in both after drinking guava leaf tea. This study was conducted on 19 normal as well as pre-diabetic people. Also, there were no side effects noted, although more evidence may be required to establish this fact. Guava leaf extract reduces and relieves menstrual cramps. A study published in the Journal of Ethnopharmacology says that consuming six milligrams of guava leaf extract daily, reduced the intensity of painful menstrual symptoms in women. The extract seems to be more powerful than pain killers. Chewing guava leaves can help relieve toothaches caused by bacterial infection and poor oral hygiene. You can also prepare a mouthwash from guava leaves by boiling a few leaves in water and adding some salt to the mixture. 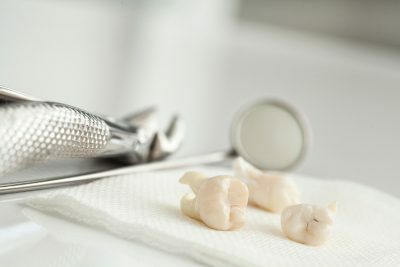 The mixture also helps heal mouth sores. Guava is rich in nutrients. A serving size of 165 grams of guava contains 112 calories. The total fat content is two grams containing 185 milligrams of omega-3 fatty acids and 475 milligrams of omega-6 fatty acids. 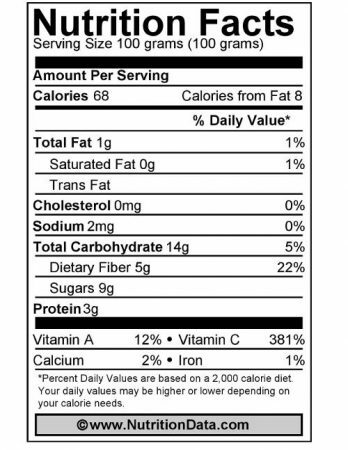 The total carbohydrate content is 24 grams containing 9 grams of dietary fiber and 15 grams of sugar. It contains 4 grams of protein. Guava is rich in vitamin C and constitutes 628% of the recommended daily intake of vitamin C, 21% of vitamin A, two percent of iron, and three percent of calcium. It also contains other vitamins and minerals such as folate, potassium, and phosphorous. To reap the maximum benefits of guava, you can store in a way that it will last for a year. However, before you store guavas, you need to check for the ripeness. The skin of the fruit must be free of blemishes and green to yellow in color. It must be a bit soft and yield to slight pressure. Guava can be harvested before it ripens and it has a short shelf life after harvesting. You can leave guavas on the counter to ripen post-harvesting if they are firm. The yellow skin of the pink-fleshed guavas indicate that they are completely ripe. To prolong the shelf life of ripe guavas, you can store it in the fridge or freezer. Ripe guavas can be stored in a plastic bag in the fridge and can last for many days. Once they are completely ripe, they have a sweet and pleasant fragrance, and yield to gentle pressure. You can freeze whole guavas or cut them into chunks and store them for a year. You need to just cover the chunks with any simple syrup and store it in an airtight container. It is always best to consume the fruit fresh to get all the benefits of guava, as the quality of the frozen fruit deteriorates after a year. You can also make juice to get maximum benefits of guava. You can blend the guava with other fruits to enhance the taste. Wash and peel the guava. Add guava, sugar, ginger, and cold water. Blend together in a blender. Filter out the seeds and serve chilled. Cut the guavas and destem the strawberries. Add guavas, strawberries, lemon, and ginger to a juicer and extract the juice. Guavas can be consumed in a number of ways. You can add the fruit to a fruit salad, have it whole as a snack, or as a fruit juice to reap the benefits of guava. Guavas can also be used for making candies, desserts, preserves, jellies, jams, and marmalade. However, make sure that you consume these in moderation, as they could be high in sugar content. If you plan to eat guava for weight loss, consuming the whole fruit is ideal. Be sure to consult your doctor if you want to consume guava leaf extract for any medical conditions. “Guavas, common, raw Nutrition facts & Calories,” SELF NutritionData website; http://nutritiondata.self.com/facts/fruits-and-fruit-juices/1927/2, last accessed March 1, 2017. “Enjoy Guava Juice For Taste And Health,” cookingdetective.com website; https://www.cookingdetective.com/enjoy-guava-juice-for-taste-and-health/, last accessed March 1, 2017. Au, C., “How to Store Guava,” LEAFtv website; https://www.leaf.tv/articles/how-to-store-guava/, last accessed March 1, 2017. “How to Select and Store Guava,” Produce Made Simple website; http://producemadesimple.ca/how-to-select-and-store-guava/, last accessed March 1, 2017.